Description: Stone abutments from the abandoned trestle No. 17 along the old East Branch & Lincoln Railroad (1893-1948) in the Pemigewasset Wilderness of Lincoln, New Hampshire. 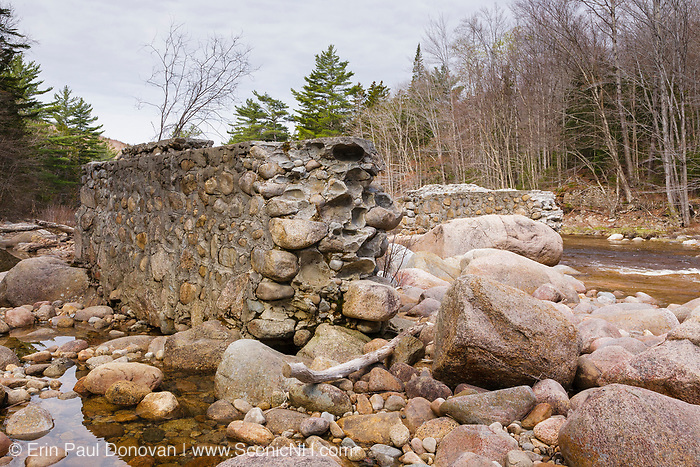 This trestle spanned the East Branch of the Pemigewasset River near logging Camp 17.